Calling all movie buffs! Get some popcorn popped, find a comfy spot in which to hunker down for several days and get ready to Netflix yourselves to high heaven, because we’ve devised our top 10 films that’ll inspire you to book a holiday in Europe. From action-packed city breaks to rolling green vistas and golden Mediterranean beaches, we’ve got the lot to give you the travel bug – we’re talking serious wanderlust. Read on to discover our top 10 and get some inspiration for your next European getaway. The eponymous hero of this psychological thriller wangles a free ticket to Italy using all the charms and wiles in his arsenal, and subsequently has to blend in among the wealthy American elite in 1950s Positano, well known for its popularity with the jet-set crowd. And it’s not hard to see why. 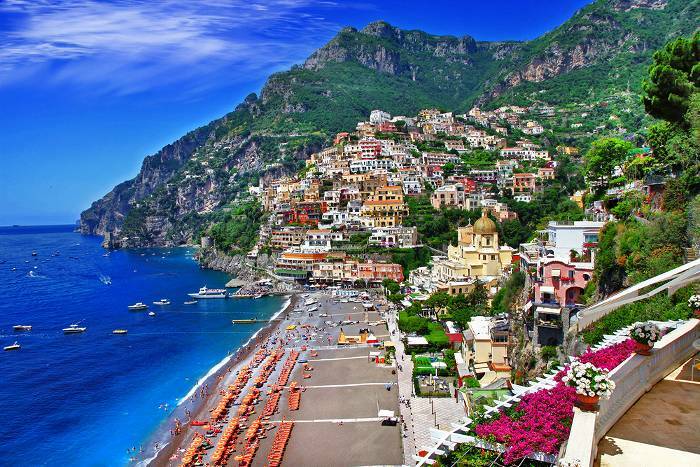 Used as the inspiration for the film’s fictional port Mongibello, Positano is one of the region’s most picturesque coastal towns, boasting golden sandy beaches, green hills dotted with rows of pretty pink and yellow houses, and an abundance of smart restaurants. And if you’re feeling inspired to frequent the Amalfi Coast, jump on a ferry and visit Ischia too. Parts of the film were shot on this island off the Naples coast, offering similarly stunning and less crowded beaches. After falling under London‘s spell for Scoop and Match Point, director Woody Allen continued his Europe tour by taking to the vibrant Catalonian capital for his next major film, Vicky Cristina Barcelona. 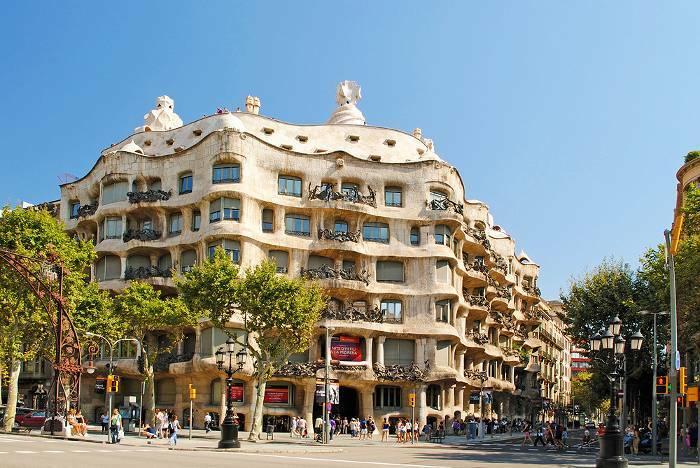 Sure, it came under fire in the Catalan community for ‘Spanishizing’ the city’s portrayal – and seeing huge, sprawling villas in the city centre is not exactly true to life. But when it comes to sweeping, droolworthy shots of Barcelona, this movie certainly doesn’t disappoint. You’ll enjoy panoramic views of Tibidabo and the Mediterranean and city centre shots of the Gothic Quarter and tourist hotspot Las Ramblas. And no film set in Barcelona would be complete without plenty of shots of Gaudí’s creations such as Park Güell, Casa Milà and of course, the Sagrada Família. 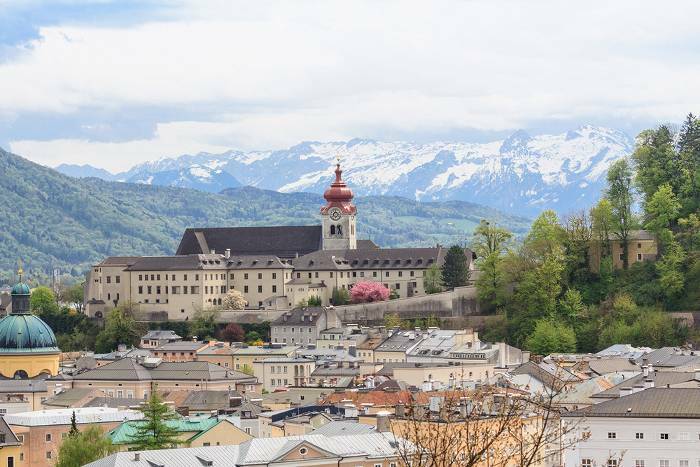 The hills are alive with the sound of music, as Julie Andrews so tunefully told us, and when better to jet off to Austria and hear it for yourself than in the 50th anniversary year of everyone’s favourite musical adaptation? Much of the movie was filmed on location around Salzburg where you can check out iconic sights to channel your inner Maria or Captain Von Trapp. Nonnberg Abbey was featured at the beginning while Mondsee Abbey was the site of the opulent wedding scene. Schloss Leopoldskron and Frohnburg Palace are well worth viewing as they were used for shots of the Von Trapp residence. And don’t miss Mirabell Palace, Residence Fountains and various locations in the Altstadt (Old Town) – dressing in lederhosen made from a pair of old curtains is optional. We’re clearly big fans of films featuring both false identities and Matt Damon over at dealchecker HQ. After much of the action in 2002’s The Bourne Identity took place in Paris, the second film in the franchise follows Jason Bourne to Berlin, where our amnesic hero attempts to discover more about his mysterious past. While the film naturally focuses on the action-packed plot rather than its portrayal of Berlin as a top tourist destination, it has nonetheless got us hankering after a visit to the German capital. 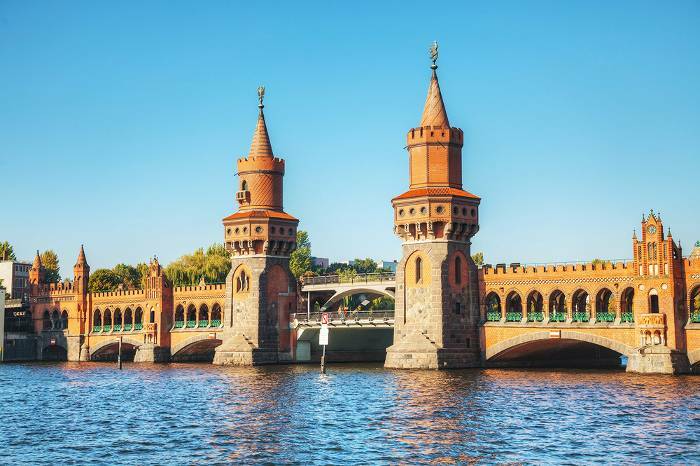 You can even take a walking tour of landmarks featured in the movie, starting at the Oberbaum Bridge, taking in bustling Alexanderplatz and the Fernsehturm (TV Tower) and ending along Kurfüstendamm, home to the fictional Brecker Hotel. The English Patient tells the story of an injured man and the nurse tending to him in the last days of World War II. While parts were shot in the Tunisian desert, much of the film is set in the peaceful Tuscan countryside, mainly in the rustic Sant’Anna monastery overlooking the rolling green hills of Camprena. The village featured is Pienza, one of the smallest UNESCO World Heritage Sites we’ve ever come across, known for its piazza surrounded by four elegant palazzi, and the Renaissance cathedral. Not far away is the 13th-century Bacci Chapel at Arezzo, where you can admire the recently restored frescoes by appointment. 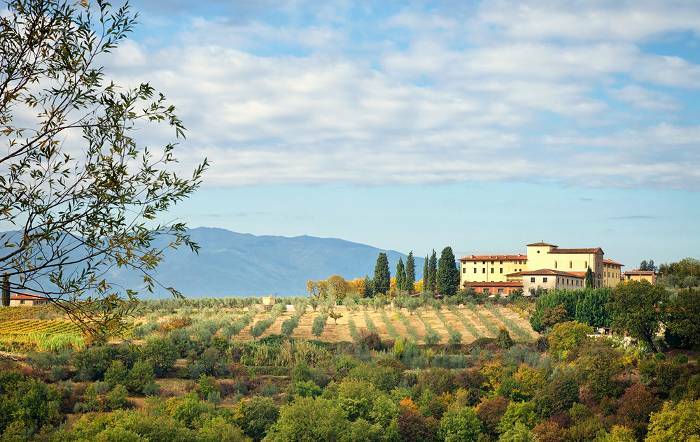 The film is quite a tearjerker, but there’s no doubt that this award-winning movie provides plenty of inspiration for booking a holiday in Tuscany . Audrey Tautou stars as Amélie Poulain, a shy waitress with a fervid imagination, living in the arty Parisian district of Montmartre. She has concocted a fantasy life to combat her own loneliness and the film follows her plan to change the lives of those around her for the better. 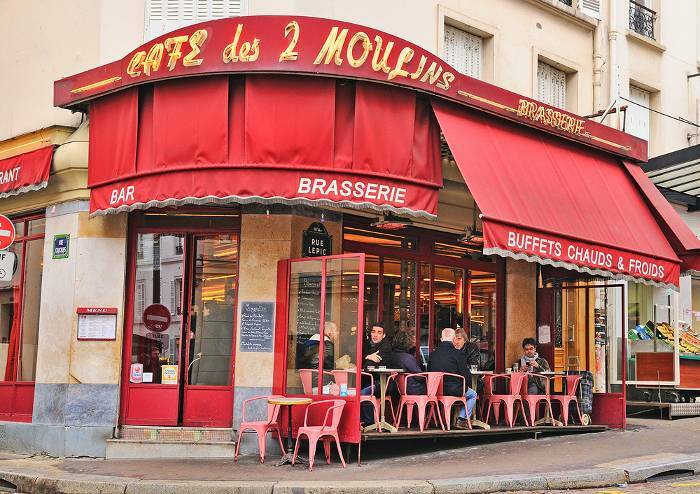 While charmingly bright and whimsical, the film’s depiction of contemporary Paris is kept authentic, featuring plenty of real Montmartre locations like the Café des 2 Moulins, Amélie’s home on rue des Trois Frères and the charming Métro station Lamarck-Caulaincourt. Outside Montmartre, landmarks include Notre Dame Cathedral and the Pont des Arts, now known for its vast display of ‘love locks’ – all of which makes us want to book our own colourful, quirky Parisian adventure. Before Sunrise follows the chance encounter between an American man and a French woman and the night they spend walking the streets of Vienna and getting to know each other, spilling all their secrets safe in the knowledge that they’ll never cross paths again (or will they?). And you too can retrace their steps – though perhaps not over the course of a whole night. 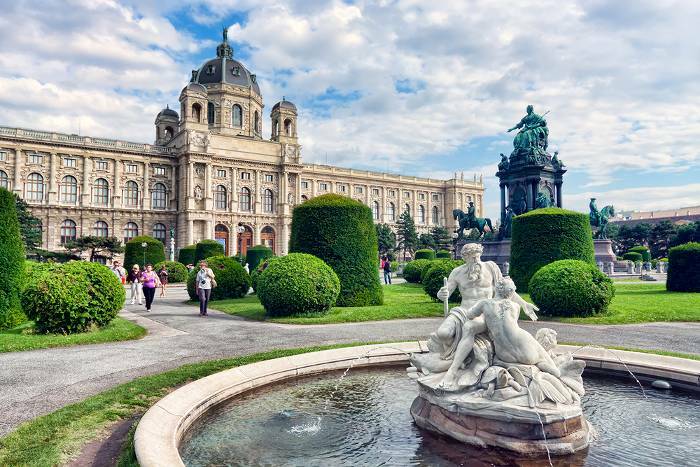 Starting at the Westbahnhof train station, you’ll take in sights like the Zollamtssteg Bridge, the grand Museum of Fine Arts at Maria-Theresien-Platz and the Albertina Museum. And if you’re all walked out, take a break at Café Sperl or relax on the Riesenrad (one of the oldest Ferris wheels in the world) while enjoying stunning panoramic views over the city at the same time. Featuring a star-studded cast including the likes of Meryl Streep and Colin Firth, Mamma Mia! The Movie is a shamelessly silly, heartwarming movie incorporating ABBA’s best-loved songs against a truly dreamy setting. The colours, from the golden sand and deep turquoise sea, to the gleaming white houses covered in hot pink bougainvillea, seem almost too vivid for words. And all this just makes us want to book some cheap flights to Greece right now (right after we’ve finished an excellent rendition of Dancing Queen). 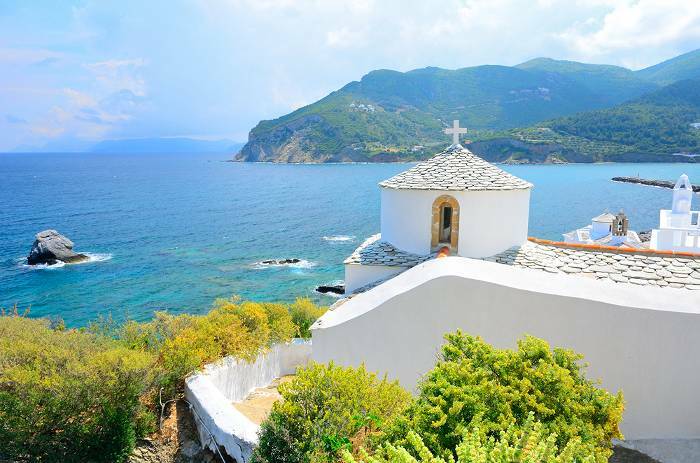 The film was mainly shot on location on the small island of Skopelos off the east coast of Greece, which, as well as being simply stunning, is relatively little-known as a holiday spot, so jet off now while it’s still a tranquil holiday haven. In this black comedy, two hitmen botch a job and are sent by their boss to lie low in the Belgian city of Bruges. Though of course things don’t go quite to plan for Colin Farrell et al, we can see the thinking behind picking Bruges as the ideal lying-low spot. 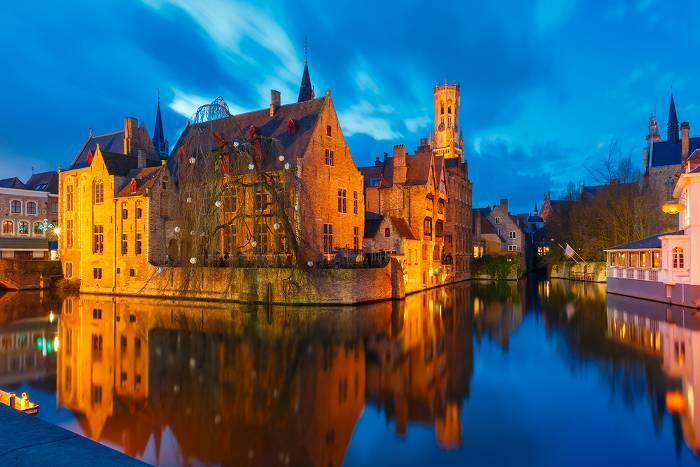 It’s full of quaint cobbled streets, fairy-tale mediaeval architecture and winding canals, packed with stalls selling chocolatey treats in winter and carpets of daffodils in spring. In short, the last place you’d expect to find a gangster. Tread the path of the film’s stars by visiting the much-photographed Rozenhoedkai (Rosary Quay), the Belfry Tower and the Basilica of the Holy Blood. A great way to see the sights is to take a guided canal boat tour of the city – just watch out if travelling in winter in case the canals freeze over! In this classic romantic comedy, Audrey Hepburn stars as a daring princess exploring Rome for the first time. She’s accompanied by Gregory Peck and together they take in some of the city’s most picturesque sights. 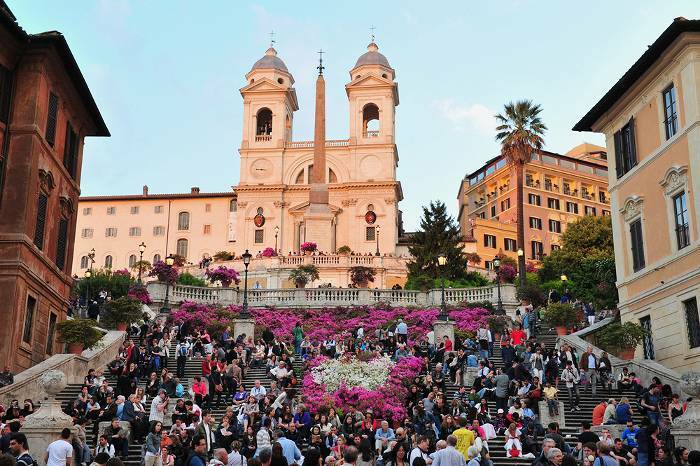 Best-known scenes feature the Spanish Steps, where the princess is encouraged to cut loose and enjoy a gelato (always sound advice in our book) and the Mouth of Truth; legend has it that the mouth bites the hands off liars. Next on your list (hopefully with both hands still attached) should be the magnificent Palazzo Colonna, the Trevi Fountain and the Pantheon. And that’s before we’ve even mentioned the most famous sights like the Colosseum – phew! Make sure you pencil in at least a couple of days to make the most of your Roman holiday. What’s your favourite film that’s inspired you to visit Europe? Let us know in the comment box below!